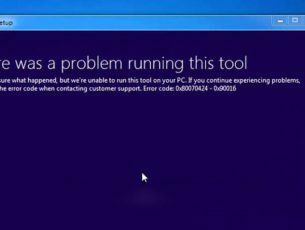 Since the Windows 10 Fall Creators Update is closing in, many users are hasty to get their hands on it. 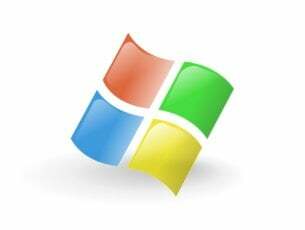 Many of them are turning to the manual approach, or precisely to Windows Upgrade Assistant. However, there’s an apparent issue that troubled them with the previous updates. As reported by some users, Upgrade Assistant tends to stuck at 99%. Apparently, the setup download procedure works as intended, but the problems arise in the final installation segment. For that purpose, we prepared a list of possible solutions in order to help you to troubleshoot this issue. In case you’re having a hard time with Windows Upgrade Assistant, make sure to check the list below. Sometimes a hefty dose of patience is all you need. Namely, as stated by Microsoft technicians, this isn’t an error. Basically, if there’s an upgrade error at hand, you’ll be timely prompted. Since this occurrence isn’t followed by any kind of error prompt, we can concur that all you should do is simply wait and Windows Upgrade Assistant will finish the installation. Eventually. On the other hand, certain users reported that the ”99% Installing” stuck lasted up to 24 hours which is, to say the least, ludicrous. With that in mind, we advise you to wait up to 20 minutes. If Assistant is still stuck at 99%, move to additional steps below. Even though Windows Defender is great protection-wise, some people are more fond of third-party antivirus solutions. That’s a reasonable choice for various reasons. But, on the other hand, third-party anti-malware solutions occasionally tend to create a stir within the system. Some of them might even block the upgrade process. Now, don’t get us wrong, we don’t advise you to ditch a third-party solution in favor of Windows Defender. However, you can disable the real-time protection for the limited period of time, until the upgrade installs. Once you’ve finally dealt with that upgrade, you should immediately enable the antivirus again. The fact that Windows Update in Windows 10 covers drivers too can be the cause of the problem. Too many outdated peripheral devices can certainly cause a turmoil in the upgrade process. So, just for the sake of trying, make sure to unplug all peripheral devices from USB ports. Additionally, if you have the SD card reader or any other similar device, unplug those, too. Of course, this doesn’t include mouse and keyboard. Once the procedure is finished, you can plug in all devices and deal with drivers later on. If the problem is persistent and upgrade is stuck, give it another try but, this time without the peripheral devices. In case it still misbehaves, make sure to continue with the troubleshooting. Some users were able to resolve this issue by disabling the connection. For some odd reason, the stable connection affects negatively the upgrade process. So, you can try unplugging your ethernet cable, disabling Wi-Fi and then you should look for changes. They should be visible immediately after the connection is disabled. If that’s not the case, you can restart the upgrade procedure and, right after the download is finished, cut the connection again. Nonetheless, this might not work for everyone. Another valid troubleshooting step is to restart the Windows Update service. 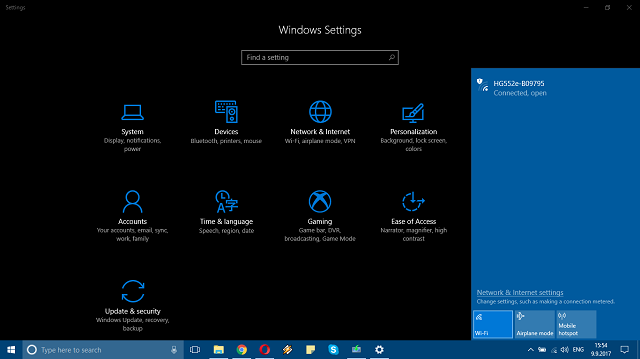 This service covers all update-related processes, including Windows Upgrade Assistant. Occasionally, this service can stop working for no apparent reason and this will, consequently, prevent the upgrade operation from finishing. 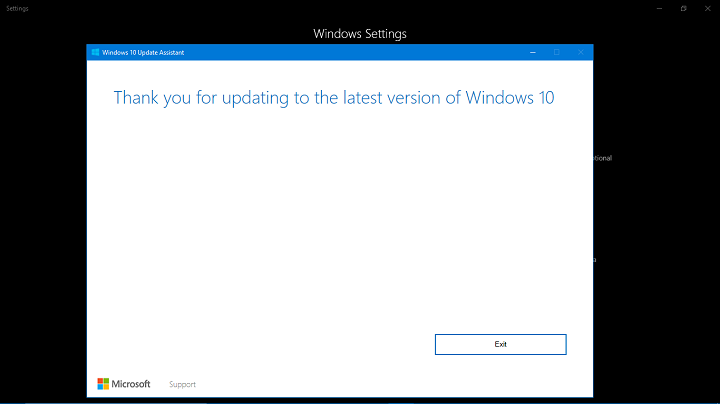 Scroll down until you reach the Windows Update service. Right-click and press Stop, and then repeat the action but click Start instead. That should resolve the stall and the installation process should continue. Occasionally, Windows Upgrade Assistant will fail to provide upgrades. Luckily, there are more than few alternatives you have at your disposal. 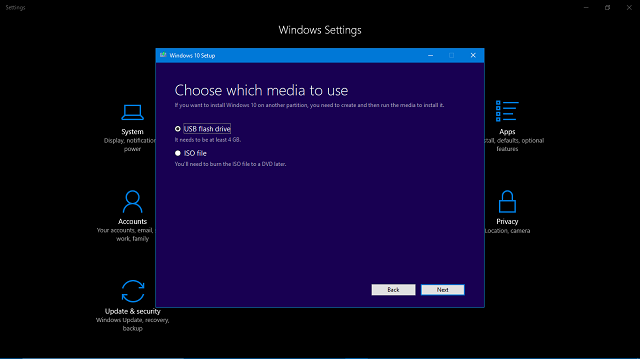 The Windows 10 Media Creation tool is the best replacement and, arguably, it’s a much better tool for the job. In addition, you don’t need to move to a clean reinstallation right away. 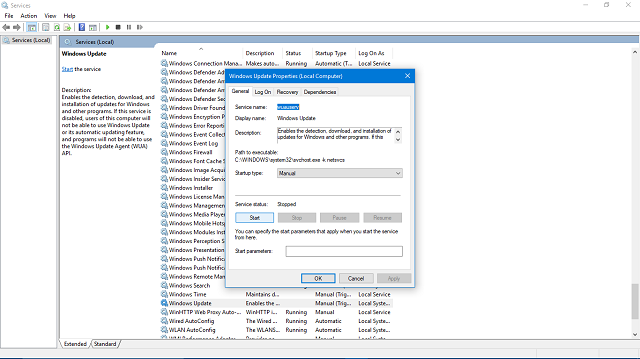 Just like Windows Upgrade Assistant, Media Creation Tool can upgrade system within the user’s interface. And you’ll be able to use your PC throughout the whole process. So, it won’t affect your productivity and it won’t take a huge chunk of your time. Run the tool and accept the Licence Terms. Choose Upgrade this PC and the downloading process should commence. Once it downloads files, Media Creation will start upgrading. This procedure should fully take up to 2 hours, depending on your Windows 10 version and bandwidth. Finally, if you’re repetitively unable to upgrade your system, the last resort lies in the clean reinstallation. 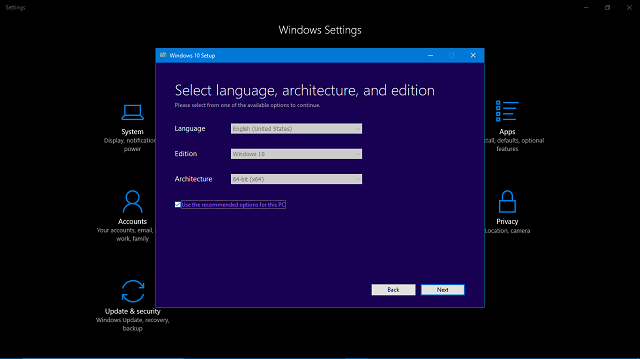 Ages ago, the reinstallation was a lengthy and complicated procedure, but that’s not the case in Windows 10. Besides the bootable media, like USB or DVD, it takes only Media Creation tool to make it work. You’ll need a USB flash drive with at least 4 GB of free space in order to create a bootable installation drive. 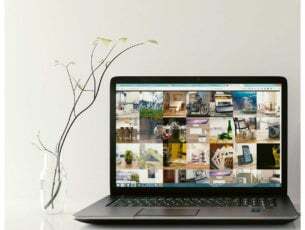 Of course, before we start, it’s of supreme importance to backup your data on the secondary partition or to an external drive, since you’ll wipe clean the system partition. In addition, backup your license key because you might need it later on. Plug in the compatible USB flash drive. Choose USB flash drive and click Next. Media Creation Tool will download the setup and copy the installation files on the USB flash drive. Now, you should tend to back up your data. Finally, once we prepared everything, restart your PC. 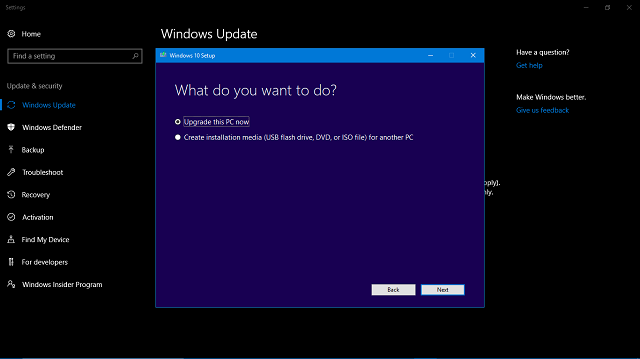 Choose USB flash drive as primary bootable device and the Windows 10 Setup should commence immediately. That should do it. In case you have any questions regarding the ”99% Installing” stuck, make sure to post them in the comments section below.